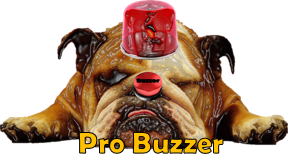 ProBuzzer: What these things are for? 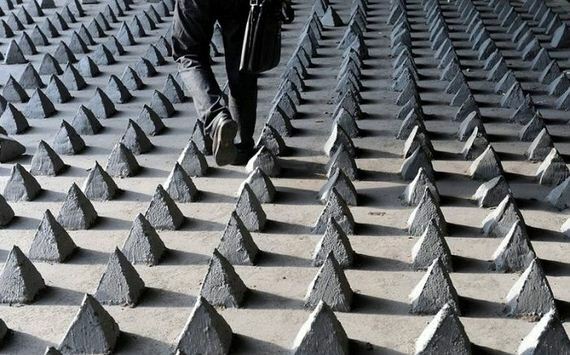 What these things are for? 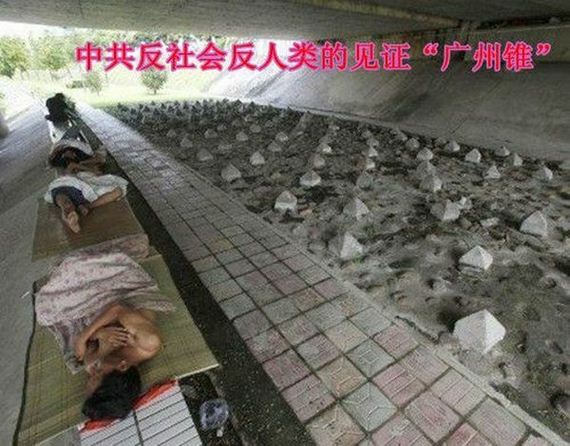 There are many places in China where they build such things under the bridges. 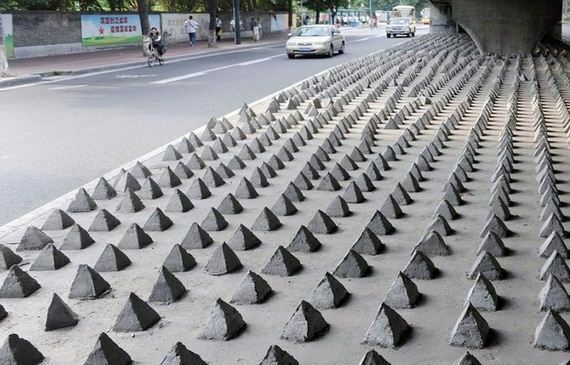 What are they for? 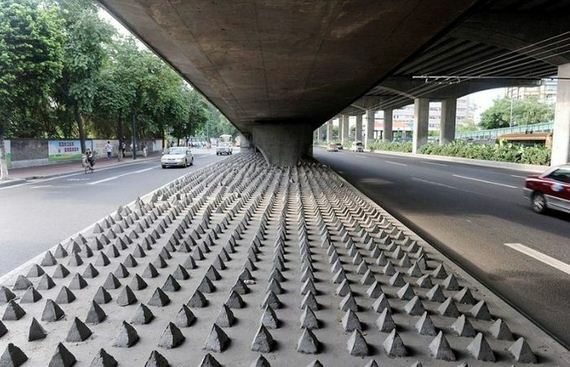 The purpose of this is to prevent homeless people from sleeping under the bridges!